Gurugram: Open spaces were denied for Namaz in Gurugram District Haryana, by the statement of chief minister Manohar Lal Khattar who said that "Namaz should be offered in mosques instead of public places". A day after the statement, the state’s waqf board asked the administration to vacate the illegally occupied mosques in villages neighboring the Gurugram district. In the past few days, there have been several instances of disruptions during Friday prayers. 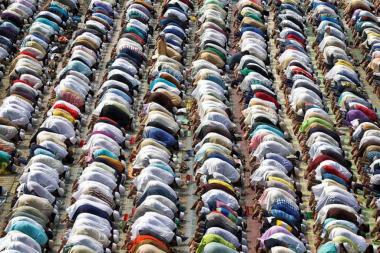 The Haryana government also said that open spaces cannot be used for Friday prayers.